Blogging is a pathetic task for some blogger. They do not add himself to create new in this field. They want to spend little time on blogging. A large number of blogger use this platform to earn money online, but they lose passions to continue given the good stuff for his visitors. They do not regard the intention of the reader. This is not the right way of blogging. 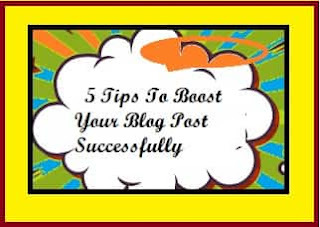 A blogger should always be tried to assure the visitors during the visit that they satisfied with his content and got the solution to his question and query. That is the best way to retain the visitor on site. One time they will receive good response and information from there, the visit will continue in the future. It will see in several blog post that the number of posts is very limited, but the visitor flow is increasing day by day. Why this happen?. That is only the faith in the written content that solution will be there. Obviously, visitors will hit the site. 1. Best Use Of Social Media - Social Media is the best tools to generate a group of people who are using these tools and their presence continues in particular fields. Try to make the group of people from different fields like - technology, fashion, health etc. Now share the content according to the group of people. It is a difficult task to write the different type of content on site for different specific people. But once its success, huge traffic hit on site. Similarly, Facebook, LinkedIn also provides tools to create a group of people. 2. Self Promotion - Bloggers afraid to promote himself. This is wrong. Don’t think about the spamming. Promotion is part of linking people. If you do not promote yourself and provide knowledge about the product, how people will know about your creativity. The number of people says that the percentage of addition is very low in the promotion. That is 20%. This is not the right way of thinking. Every percentage is important, your effort will be 100% if the low percentage of the addition will be added to 80%. A good blogger should not leave any points to promote. Today is the time of the advertisement. Companies spend a certain amount on ads. That is also a part of self-promotion, but they adapt and work on it. 3. Adopt New Ideas - Don’t try to adopt the traditional concept of blogging. Be experimental and search for new promotional activity. Share and test new ideas to add more people to the blog. Blogging is creativity, why you go with old tradition. As you know that Google change algorithm at a certain time. Sometimes they create new rules for ‘Backlinks Creation’, ‘Define Unethical Activity’ for blogger. That means they give the message to the blogger that blog should be perfect in all fields. Go with new ideas, definitely, people will add himself to your blog. 4. Serve Quality Content - Only good number and large post are not attract the visitors on site. These are not a good concept to retain visitors. The basic points are the quality of content. Content is king in the blogging field. Your visitors should be satisfied. His problem should be resolved there. Obviously, write large content for the blog, but that should not be boring for readers. They spend quality time to get some quality knowledge. Your post should be energetic and impressive to spend a large time with the reader. Content should not be copied from another blog. Write your views and that should be reflected in the conversation with the reader. 5. Extend Connectivity With Blog Reader - Use tools to extend the connectivity to the reader. Maintain a relationship with returning visitors and should try to add the new one. The right way to add yourself to the forum to search the new reader. Social media group connectivity also help to provide loyal readers. Send news later, podcast series, releasing the video for the reader to continue with your blog. Intimate about new activity and share link to engage him with yourself. These tools are improving traffic and boost success as a blogger.